The colors at Color Throwdown # 403 are such a girly dream. Pink, Peach, Yellow and White. 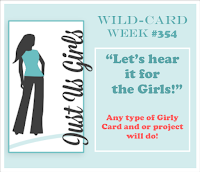 And that girly dream fits right in with Just us Girls - Let's Hear it for the Girls. I started with Penny Black's Devine, 3 colors of Zig markers, and embossing powders in white and copper. The sentiment is from Mama Elephant's Labeled Messages. I didn't like the white card too much as you couldn't see much of the white embossed stems, so I added some Hero Arts Fresh Peach with a clarity brush. White enamel dots were added with Nuvo crystal drops, and the card panel was mounted onto a light peach card base. I have been thinking and thinking what I could make for Becca's birthday bash. I looked and looked at her moon board, and I kept coming back to those aqua and blue planks. I also loved that splash of watercolors and the distressed piece. So I used the plank colors, the distressing and watercolors. I added an embossing folder - Petal Burst by SU, as well as their copper ep and thread, and a sweet girly script just to be a bit at odds with the distressed and torn watercolor and embossed panel. Becca, I hope you like the card and many wishes even belated as they are for a wonderful birthday month and a year filled with adventures that make you smile. For July's card chain challenge, I decided to use Deborah's Sketch. I used Simon Say Stamp's felt, Lots of Dots stamp set, Pointed Feather Dies, and a sentiment from PTI. My ink is from Hero Arts, and the yellow enamel dot is Nuvo Crystal Dots. The August sign up is open until 8-6-16. Thanks so much for stopping by! I resisted this set of stamps for quite a while, and after taking a recent class at Altenew Academy...I folded -- I bought them along with the matching dies. I am so glad I picked up the dies. Apparently I have difficulty composing my card just using the stamps. I spent hours trying to make 1 card by stamping directly on the card front. I put it all aside out of frustration. A few hours later, I die cut 4 pieces of each die and decided to stamp on the die cut pieces instead. Then it was easier for me to compose my clusters. So out of 12 pieces, I got 3 cards. I used the Altenew Inks in the mini cubes. The sentiment on the first two is PTI, the last is WPLUS9. Sequins are from PPP and A MUSE. My ink blending on the third card is done with the clarity brushes, it is so much easier to get that light barely color touched bit of color with the brushes. And I will leave you with a tip for the day. I used to cut off the die cut parts on fun foam so I would have clean edges for future cuts. I don't anymore. I use them as mounting foam under full page panels. This one went on card #2. Hi There...I am on a roll, but I promise this is the last one for tonight. Dinner is waiting to be made. Hubs and I write one another a letter each year for our anniversary. This year we were on opposite coasts for our anniversary. So we decided to post-pone our letters until July 30th. This is the card that will hold my letter to hubs. The tree is by Taylored Expressions, the embossing folder is by cuttlebug, and the sentiment is compliments of my laptop. It is the opening sentence of my letter. I am playing with more stuff out of my bin of newly purchased items. Some have been sitting for a couple of months. Since I have reorganized things, it is easier for that bin of new items to be seen. After taking a peek at my list of saved challenges, this card came together very quickly. But I am two for two tonight on being late for challenge posting. I used the sketch at (now closed) Freshly Made Sketches, and the prompt at Less is More - Tactile. My tactile pieces are the flowers cut from fun foam. I love it when things come together. I bought Simon Says Stamp Best Fishes recently and haven't yet brought it out to play, and then I see the challenge for Words to Craft By. It's a sign I tell ya. The Colors at Color Throwdown worked perfectly for this card. Here are my last three cards for my homework at Altenew Academy - Class Color Your Day. The last card is my entry for Muse #175, where Jenni provides us with a lovely purple flower card. Hi everyone. I tried a new online class venue this week, its from Altenew Academy. I have to say I love the price point, and I have really enjoyed the first three lessons. 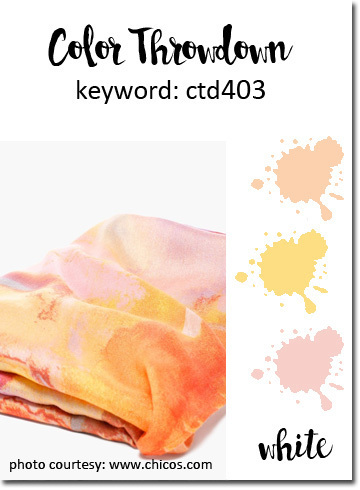 The class I am currently taking is Color Your Day taught by Therese Calvrid. She has walked us through some stunning cards and offered up some great advice. Today I give you my first three day's homework pieces. 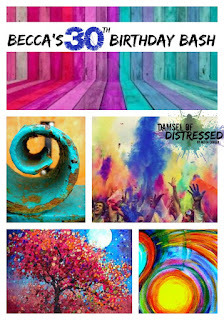 They were inspired by a photo, the color wheel, and proportions of colors on a card. I used Altenew stamps and Inks for the most part. I did a little Stampin Up shopping. I fell in love with the Vertical Greetings set. There are 6 sentiments and 3 images. The tree/flower was colored with three shades of tombo markers direct to stamp and teh pot with a fourth. I stamped it with my misti, so I could get bright and bold color. The panel was torn and then mounted on the card base which was also stamped using the misti. A strip of glitter paper adds the festive touch. I am submitting this to Seize the Birthday anything goes (with the toppings bold and bright). I cut several card bases for some 4.25" square cards. I am loving those right now, and after cutting two from an 8.5"x11" card sheet there is a little scrapling left. These are perfect for those smaller images. I often used them for card class homework as well. This one is going to be a surprise for hubs, now that we don't spend as much time apart he doesn't get as many cards. This one is going into his sock drawer...at the very bottom for a sweet surprise. The inside sentiment simply says I Love You. The stamp is from Stampin Up a new set called Vertical Greetings, there are three topiary images and 6 vertical sentiments. I colored the image with Tombow markers and used my misti to stamp as several inkings were needed to get a nice strong image. Since I used the markers I am submitting this to Addicted to Stamps and More - Make Your Mark. Summer Camp...I never had this experience as a child. I do remember a 3 day camp in 6th grade that turned me off of camping forever, but this camp sounds like fun. I tried to play along each day, but that didn't come to pass, so this Sunday and am having a Camp Create immersion day following all the prompts for the whole week. There are shopping prizes to be won. It is not to late to join in, you can link up through 7-21-16 at 10 pm EDT. Each of the badges below can be clicked on to link to each of the day's lesson page. I have several MFT dies and stencils, but only 3 stamp sets. 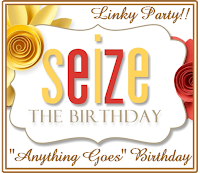 Again, It is not to late to join in, you can link up through 7-21-16 at 10 pm EDT. Each of the daily badges can be clicked on to link to each of the day's lesson page. I earned all my badges, and had fun doing it. Thanks so much for stopping by! 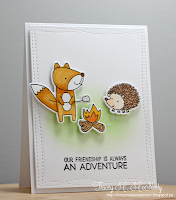 Tracey has provided a sweet little critter card for this week's Muse, and Simon's Wednesday Challenge is Create a Scene. I love a one card two challenge post! I was inspired by Tracey's popped up die cuts and the inked grounding of her critters. I am currently crushing on sweet little 4.25 inch square cards. I find them perfect for some of those smaller stamps that can get lost on an A2 card, and the bonus is they fit in a standard A2 envelope for mailing no extra postage as long as the weight is 1 oz or less. I stamped the images with Simon's Intense Black ink, colored them with copics (Reds-20,24,29,59 and Yellow Greens 03, and 13). I die cut the Lawn Fawn images after coloring them along with an Avery Elle double pierced square. My papers are from Stampin Up, and the inking was done with a clarity brush and some Lime Green SSS ink. As a last little touch since I couldn't figure where the heck to put some sequins was to cover the watermelon with glossy accents. Below are the challenge graphics - one click will take you to the challenge, as will the links above. I am so excited! I have wanted to play cards with Michele from I Card Everyone for quite a long time. Last week I saw the perfect card and technique. I sent Michele an email and this morning into early afternoon we chatted and today is the day we play! The card that caught my attention was from Anita's Blog My PaperCraft World. Isn't it just a perfect happy card? I need a birthday card for a friend so here is my take on Anita's card. I used a mask and the Clarity Brushes to create my inked space with SSS Teeny Bikini and Lipstick Red. I wanted the center just a bit darker than the outer portions of the oval. I chose to constrain my inking to a very defined shape to add a bit of formality to the card. I added gold touches with Heidi Swap Color Shine, Gold flat PPP sequins that I made much smaller with a hole punch and added some tone on tone raised dots with Nuvo Crystal Drops in Carnation Pink. As a last touch I added a little bit of gold embossing around the edges of my card base to match the embossed sentiment. Now, if you haven't come from I Card Everyone please head over to Michele's blog and see what she's created. I am excited to see too, as I am sure it is fabulous...she is so smart in her interpretations and it shows in her creations. Square cards can be hard for me, but there is a fabulous sketch over at Freshly Made Sketches #245 this week, and I had to play with it. A new stamp set arrived on my doorstep today and I had to take it out to play. It's a new set of kitties from Stampin Up called Pretty Kitty. My background papers were a gift and they also come from Stampin Up. I got out my copic's to color the image and added a bit of silver ribbon for the tag top and it's finished. I think that kitty is adorable peeking from the flower pot. The challenge is open til 7-18-16 noon pdt. Here is my tag for the current Tag You're It Challenge. 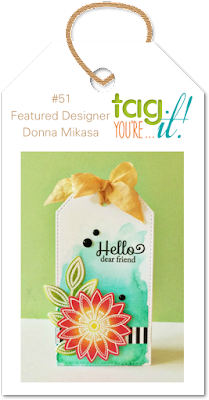 Our inspiration for #51 is provided by Donna Mikasa. I love the colors she chose. I was feeling a bit lazy, so I improvised the watercolor background and used Hero Arts' Brushstroke stamp set with Pool Ink to provide the wash of color on the tag. The leaves are from a dear blogging friend Betty. My flowers are from Mama Elephant's Water Blooms set and are colored with Tombow markers direct to the stamp, then blended a bit on the paper. The sentiment is from SSS. A bit of Stampin Up washi and a couple of pico dots along with a seam binding bow and its done. It is definitely a case of Donna's fabulous tag. One of the crafty ladies in our group just became a Grandmother for the first time. She is excited and over the moon. I wanted to send a card, but was having a hard time since I have no obvious baby stamps or sentiments. WPlus9's Unforgettable provided the images, and my laptop provided the sentiment. Coloring was done with copics, the oval's background was inked with Clarity Brushes and Simon Says Stamp inks in Green Leaf and Blue Jay. The Balloon was colored with copics and then overlaid with Spectrum Sparkle pen in blue and glossy accents for some dimension. The soft gingham paper was a left over piece from a stamp kit. 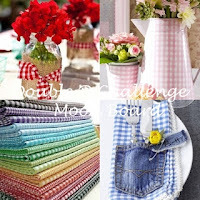 I am entering this to Double D Challenges, Simply Gingham is the theme.